Toby was very poorly for quite some time at our local Hospital. 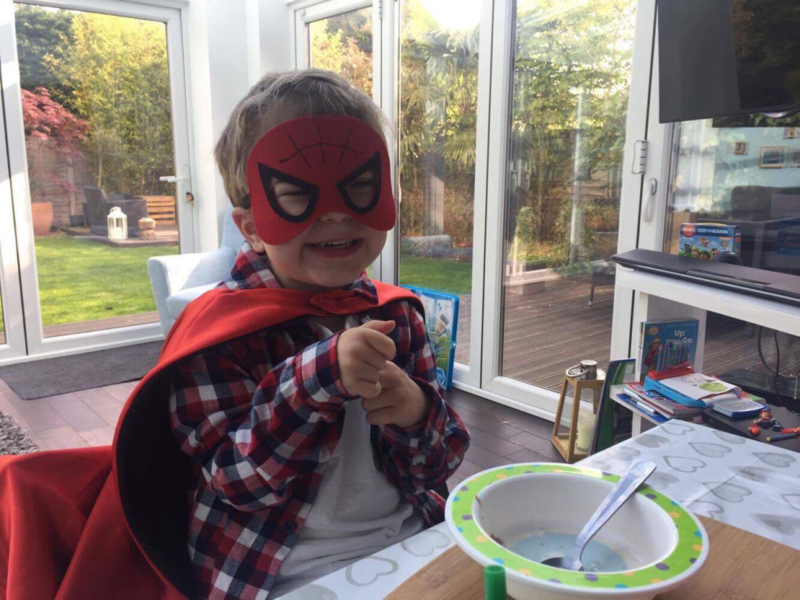 He had just had his first birthday before finally being diagnosed with a Brain Tumour. When Toby was transferred to St Georges Hospital, he was critical. You can only imagine the shock that we were feeling as we drove to the hospital. When arrived at the same time as Toby’s ambulance and were met by Cathy from PICU in the ambulance bay. Without saying a word she completely understood our shock and that of our parents who had joined us by that time. She explained where they were taking Toby and why, and took the time to look after us calmly and gently. She accompanied us to PICU and explained what would be happening and what they could arrange accommodation wise for that first few nights. We spent over 6 weeks with the PICU team at St. George’s in the end as Toby had various complications. He had blood transfusions, a perforated lung, a DVT, a CSF infection and Pneumonia among other things. PICU is a very anxious and worrying place to spend 24 hours a day for that long, but the team there make everything so much easier. We don’t know how we would have got through that time without their care – for us as well as Toby. They managed to find such a careful but magical balance between the seriousness of our situation and everyday life which of course has to carry on. Nothing was ever too much trouble and we built up incredible trust in them. Toby has relapsed twice since his original tumour and so we have been back with the PICU team both times. Everybody is just as kind and the standards of care and consideration just as incredible. So many of the team come to say hello like familiar friends – a strange addition to the family. Our most recent recurrence meant spending Christmas in Hospital which is not easy at any age. The atmosphere in PICU though and the effort that the team goes to making this time special and happy is fantastic. A lot of which is out of their own generosity, own time and because they are such caring people. Christmas in hospital is miserable, but Toby woke up with a present at the bottom of his bed every day and was made to feel as special and happy as ever. Toby’s journey is going to be a long one and the team here understood that from the start. They have always taken such care in how they talk to and treat him, when it is easy to think that someone so young would not be affected too much. We would often find that Toby had been snuggled down with his favourite toys and read stories overnight as he slept without us even knowing. This care and consideration has meant that now, 3 years later, Toby is not scared of going to Hospital or anything to do with it. In fact he quite likes it and willingly pops himself up onto scales or his finger into sats monitors without even asking. You cannot underestimate the difference that this makes to a child and a family that has to spend a lot of their time with doctors and nurses. Fearing any of that would be have made and would still be making our lives and his life incredibly difficult. Toby is a happy go lucky, easy and truly joyful little boy. We honestly put a lot that down to the team here and are thankful for it every day. 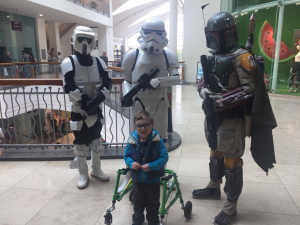 This entry was posted in Patient Journeys and tagged brain tumour, life support, neurosurgery, paediatric critical care, Patient Stories, PICU, Toby. Bookmark the permalink.